This is the third and final piece on goal-setting. Having had a look at the evidence supporting goal setting and then also exploring the principles of goal setting as we have done in the previous two articles here, you should have a good starting place for setting your running goals. 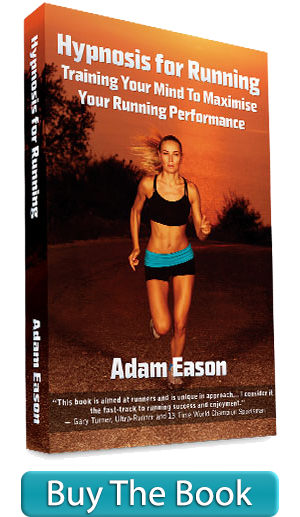 Lets be sure to do it right though and look at how to systemise your goal setting to derive the greatest running gains. When any runner takes on the marathon, for example, they plan it. At least, those savvy runners do. They put a schedule together, they plan and prepare well. Not just the training, but the organization of the event itself requires preparation and planning. Your goal setting is the same, and requires the runner to plan accordingly too. Runners that have a coach or experts at their running club, they can enlist the assessment skills of that person or people. However, in the absence of such, most runners will need to conduct some sort of objective assessment. For runners, this is usually best done prior to your training schedule getting underway, or in the months where you are running less, or out of the main running season. Ideally, you assess your needs and abilities before you begin your training programme. Having examined your own speed, endurance, and considered how you felt last time you were out running, thinking about your current fitness level, and looked at previous performances (heck, you might consider looking at your current weight and other elements of physical condition too) then you are better informed about the realism of the goals you will subsequently set yourself. It is important for me to stress the afore mentioned word “objectively.” That is, make sure that you assess yourself with honesty and candour and don’t go convincing yourself that you are fitter, faster or healthier than you actually are. Be objective in your assessment of yourself. With that assessment completed, the runner sets goals based upon any needs identified and current levels of fitness, speed, endurance etc. Set long term goals, or have one single main goal, and then set some short term goals that will provide evidence that you are successfully making your way towards the longer term goals. Think about making sure the goal is based on your own performance and is therefore within your own control and apply the principles to your goals that I wrote about in the previous article. Be sure you set the goals when you are capable of being objective and measured too. If you set goals when you are emotional or behaving emotively, then you might not be setting them with the most amount of intelligence, and this may consign the goal to failure before it has begun. Consider also the kinds of needs you have psychologically. Consider your psychological needs, consider technique and set goals for those areas too. Remember we want to think about more than just the miles we run and the speed we run them. Do you need motivation? Do you need inspiration or encouragement? Do you need to learn more about nutrition, or ways to enhance recovery times, or how to build your resilience in the face of adversity? With each goal in place and initially written up, the runner then strategise about it. That is, you now plan a strategy. Build an action plan that details what you are going to do in order to attain that goal. This is more than simply typing up your daily mileage output. Do you need to research and get resources or information? Do you need to develop new strategies? Be as diligent as possible at this stage and you will reap the rewards, I assure you. A couple of words of warning here though. Runners and athletes of other kinds do tend to get excited and pumped up when first setting goals. Be aware of setting too many at the early stages. You don’t want to drown in goals! You also do not want to set so many goals that it becomes unmanageable to adhere to them. One of the pitfalls of goal setting is getting blown over by the crest of our own wave. Make sure you are not setting too many goals at the beginning. With this planning and preparation done, you then need to put in place some way of evaluating your goals so that they do not wither. I see it happen all the time; runners get fired up, get their goals beautifully crafted, intelligently planned and prepared for, then a few weeks down the line, the goals are almost forgotten about and the runner loses sight of them and the goals are not serving their intended purpose of advancing our performance. The runner benefits from staying focused on the goals. Having short term goals to tend to helps, and if we can add some way of evaluating and staying on track, then that is going to help keep the runner focused and on track. One way to do so is to re-evaluate the goals at regular intervals. At the end of each month, you might like to check in and see if you are on track, maybe even assess your capabilities and fitness compared to when you set the goal, see if you can measure your progress. Have you completed all the planned training runs? Have you explored all the new learning strategies? Have you addressed your psychological needs? Are you remaining motivated? Be objectively reflective and examine your progress at regular intervals that you diarise. Any good coach or trainer will assess progress and even have regular review meetings to assess where you are at, so you can look at this and do this. Heck, if you have a supportive colleague or spouse, then you may even want to enlist their help with looking at your ongoing progress and seeing if you need to tweak your goals or amend them in any way as a result of your re-evaluation. When you assess your progress, you might be off target, you may be flying and exceeding expectations, or you may be perfectly on track. Wherever you find your progress, you may need to make the longer term goal slightly less demanding, or more of a challenge, or leave it as it is. Goals are not immovable objects that remain the same throughout. You can adjust them and tweak them as you move forwards in order that you keep on track and on target and derive the most benefit from the focus you put on them. One of the ways that goals often get left to fizzle out in the distance is failing to evaluate, monitor and subsequently tweak the goals. Make absolutely sure that you set some time aside to assess where you are at and to be reflective, objective and consider any changes that need to be made. In early 2012, when I was training for the five consecutive marathons I was going to be running that Spring, I got a really bad flu bug. It set my training schedule back quite a bit as I had 10 days off running and then felt groggy when I did get back on the road. My goals and training targets required me to adjust them and reassess my progress. Sadly, it is a fact of life for runners that we get injuries or illness, so readjusting goals is one of things that is going to be required to keep our goals helping us enhance performance. I want to repeat here something that I covered in the previous article too. That is that goals are likely to be far less useful and beneficial if they are not specific and measurable. When setting your goals, refer to that principle mentioned previously and ensure that your goals are not just “I want to run further”, “I want to run faster”, “I want to reduce my weight” because these are vague and very difficult to measure. Get specific with times, distances, and make them measurable so that you can gauge your progress. As part of the ongoing process, you want to keep encouraging yourself and driving yourself with your goals. I have a number of ways of doing that that I have written about here previously or that I will write about later too. As runners, we want to be encouraged with our goals. If you can’t or won’t rely on yourself to keep providing that encouragement, then seek it from running partners, colleagues, your loved ones or join a running club where your fellow runners can help give you that. With the goals then set and in place, do check them against the principles written in the previous article and make any final tweaks that you deem necessary. Then you are going to have a finely tuned set of goals with an accompanying goal orientation mindset within your running that can fuel your training and have you enhancing your running performance.